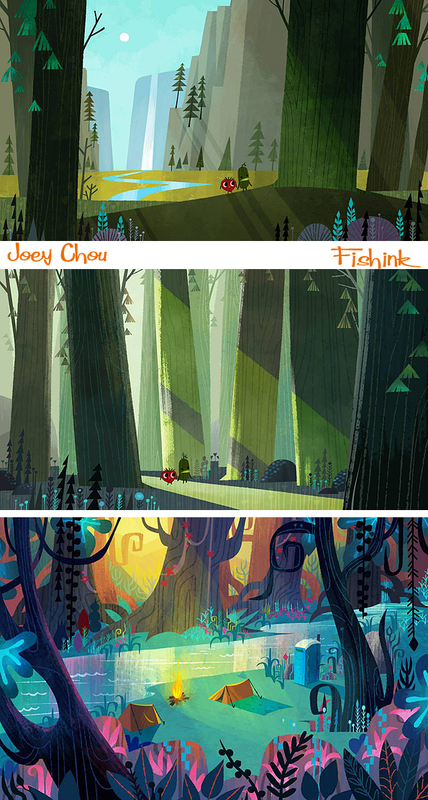 Joey Chou is an alumni and graduate of the Art Centre College of Design in Pasadena, CA. 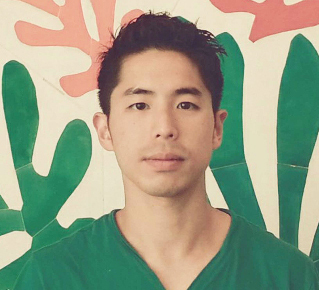 Joey was born in Taiwan and moved with his parents and sister to the U.S. when he was 15. 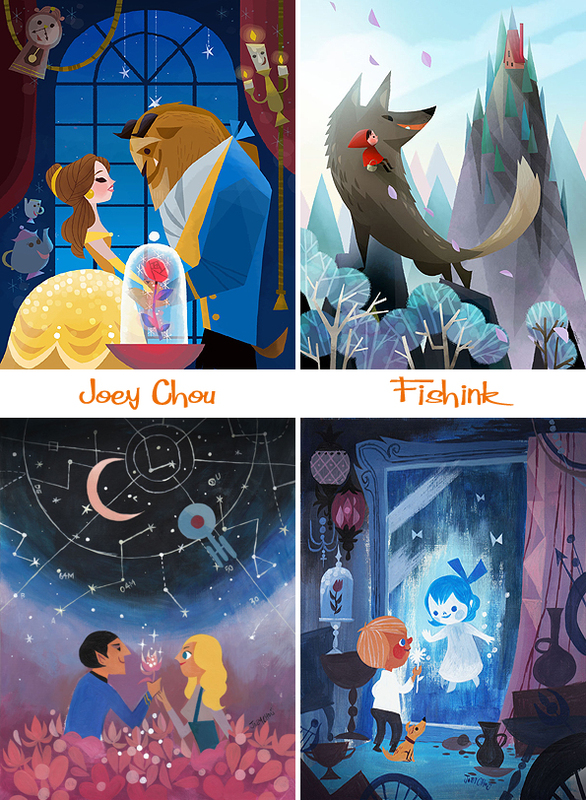 He is strongly influenced by the work of Disney artist Mary Blair, comic books and 1950’s and 60’s geometry, as am I ! 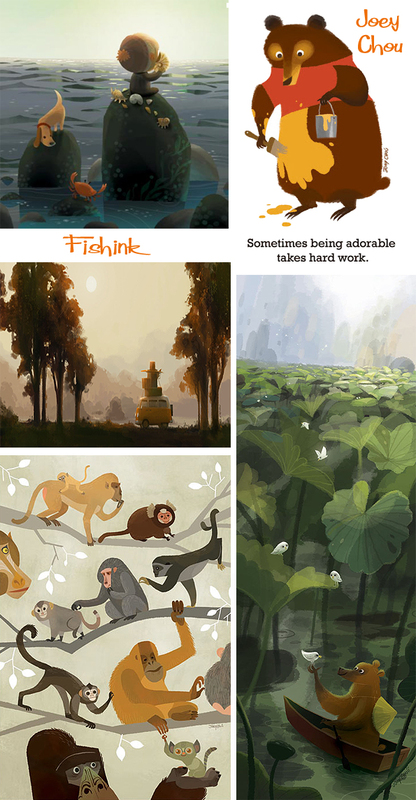 He has a wonderful vision for creating scenes and settings. His art reflects influences by prominent and obscure artists as well as influences by the Southern California lifestyle and culture. 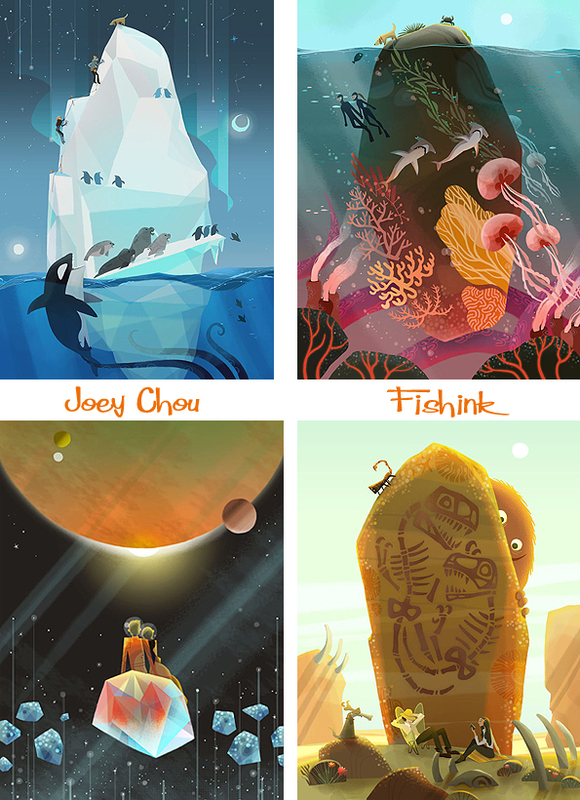 When not painting or sketching, Joey enjoys independent films, surfing, video games, and travelling. 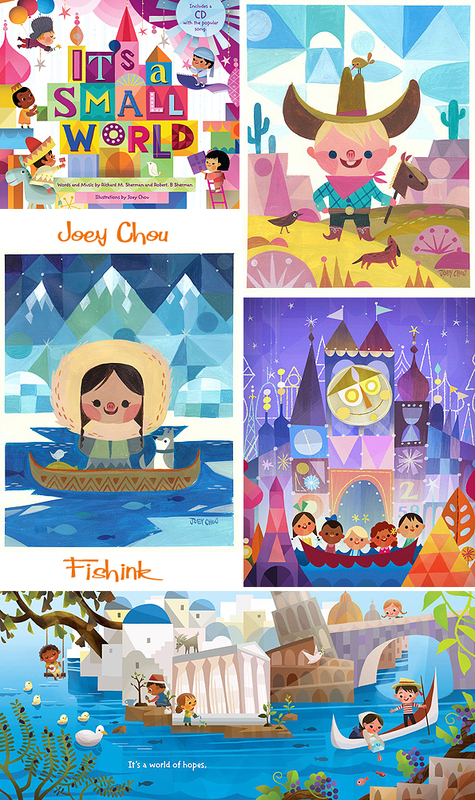 He was the artist chosen to illustrate one of the latest ‘It’s A Small World Book’ which much have been a real privilege since Mary Blair was involved in the creation and decoration of the original set at Disney World. 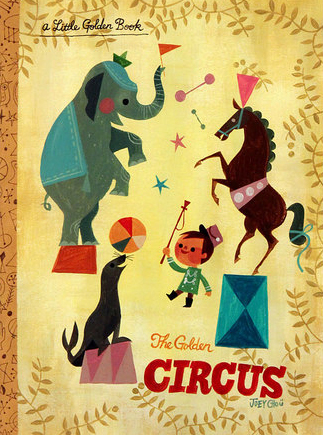 For me his work is colourful, bold, fresh and happy, everything that works for children’s illustrations. There’s an element of exploration and adventure at times. 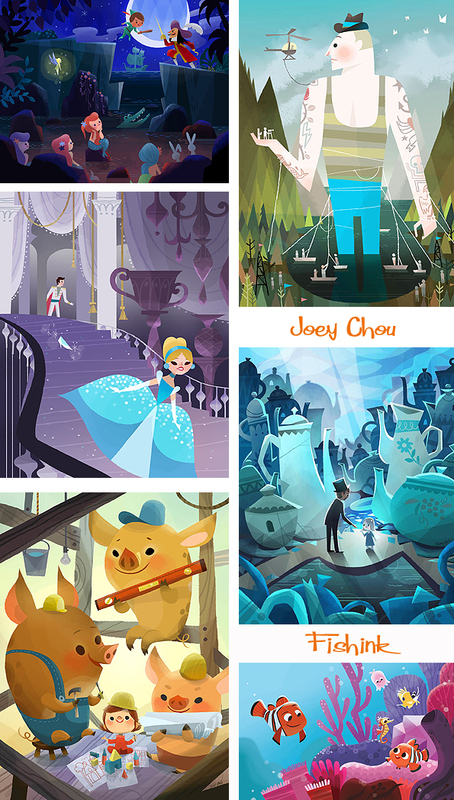 A few familiar images from some Disney (and other) classics. How many can you spot ? I really admire his painted work too. He is often involved in small gallery events where his work is on sale. Framed or painted onto plates and also crafted into clocks. Travels with a clockwork VW. 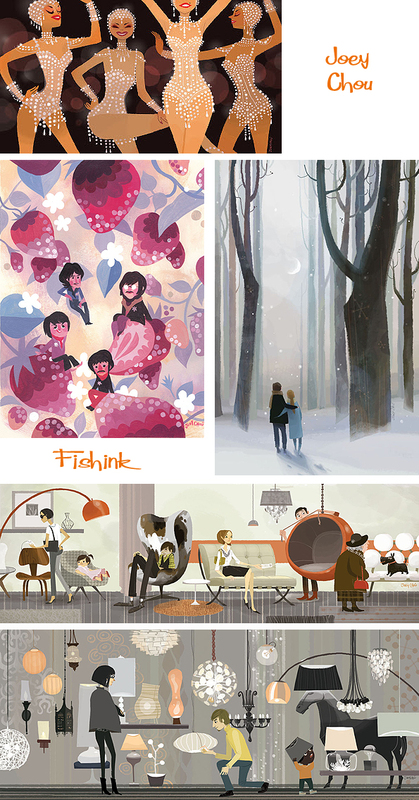 You can find some original work to purchase over at Q Pop Shop. Also it was interesting to discover that Joey has just taken part in an exhibition with a theme of ‘Little Golden Tales’ this was his entry. Fabulous ! Joey is now working for Sony Pictures Imageworks. If you enjoyed this post you’ll probably also like these posts on J.P Miller , Flora Chang and Neiko Ng. Hey I love your work! Nice job on the El Dorado bits, one of my favorites. 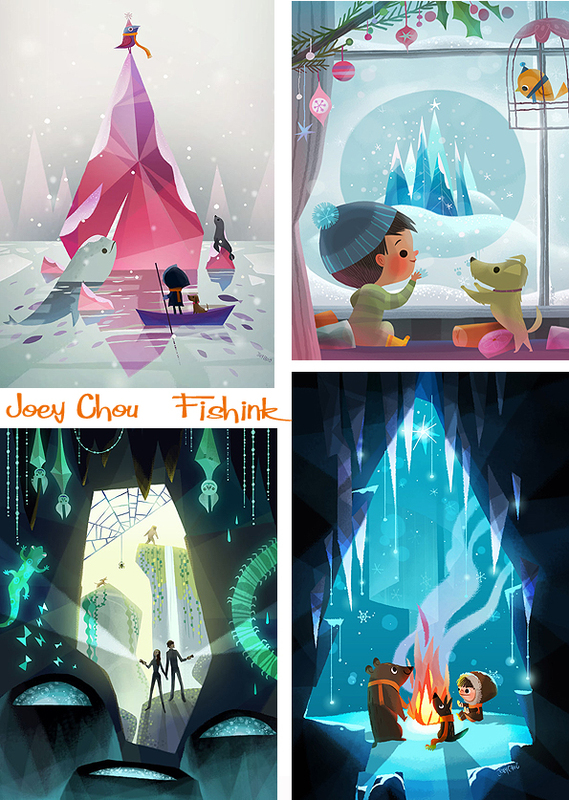 I’m a huge fan of Joey, and trying to find a way to purchase some of his Disney prints. I’ve googles and searched, and all I found is a site called Nucleus, but they don’t have the prints I’m looking for. Do you know of anything, by any chance? Hi there, hunting around a little, I’ve also come across https://joeyart.bigcartel.com/. 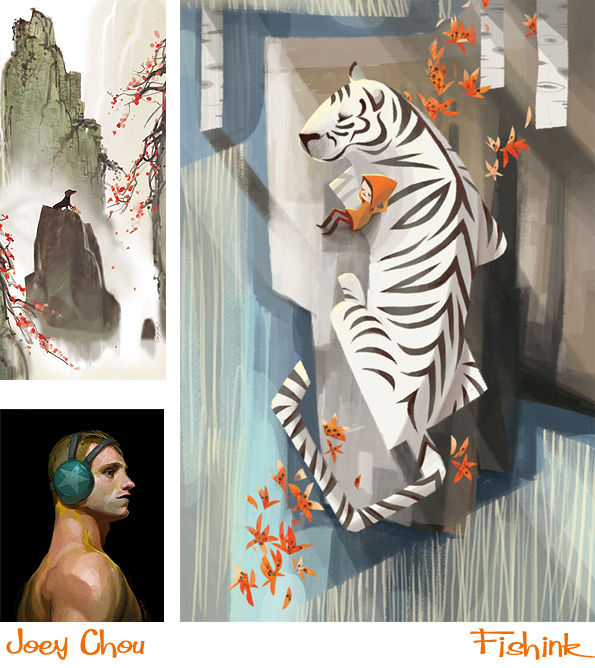 Which has a good range of artwork, failing that I’m sure if you get in touch with gallery nucleus, they’ll be able to advise you better as to the possibility of obtaining the prints you want. Perhaps even put you through to Joey himself!